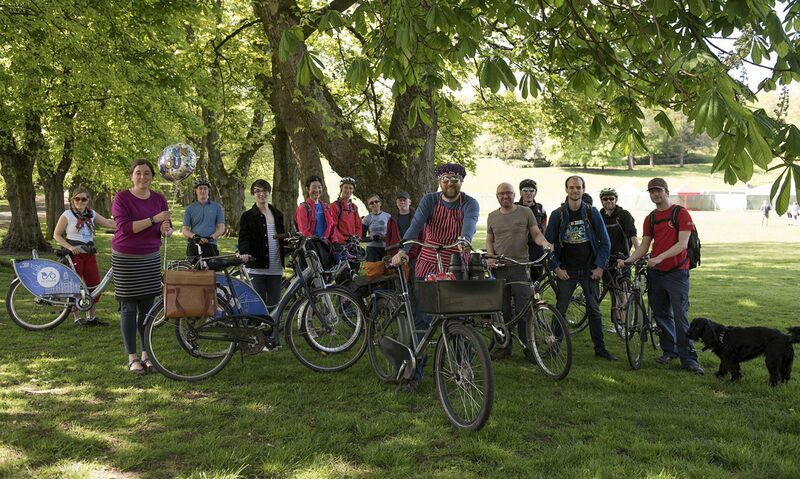 After our AGM and Public Meeting tomorrow, 7:30pm at the Admiral Bar, with what is very likely to be a lively discussion about cycle infrastructure in Glasgow, why not join one or both of our forthcoming rides to look in more detail at the city? Both rides devised and led by Andy Preece, with further details on our Rides page. For the final ride of the year we shall take a 18 mile tour of the attractions of Glasgow, including some of the best known buildings and landmarks around the city. Education, religion, horticulture, medical, sport, defence, industry, transport and a flagpole viewpoint are all represented. And of course, there will be many pieces of new and old cycle infrastructure along the way. For our annual review of Glasgow’s cycle infrastructure we shall take a 15 mile trip around the edges of the city centre, seeing routes into, out of, and around the centre of the city. As well as seeing existing routes such as the South West City Way and the Clyde Gateway, we will also take the opportunity to see the next routes to be developed, including Victoria Road, Sauchiehall Street and the Woodside Mini-Holland. We will finish the ride in time for lunch in the West End. The ride will mostly be on cycle tracks and quieter roads, but some sections will be on busier roads. Anyone with an interest in cycle infrastructure is welcome to attend. with thanks to the Cycling Embassy of Great Britain for the photo above.